The Holley Townhouse is a typical frame row-house located in the eclectic neighborhood of Redhook, Brooklyn. 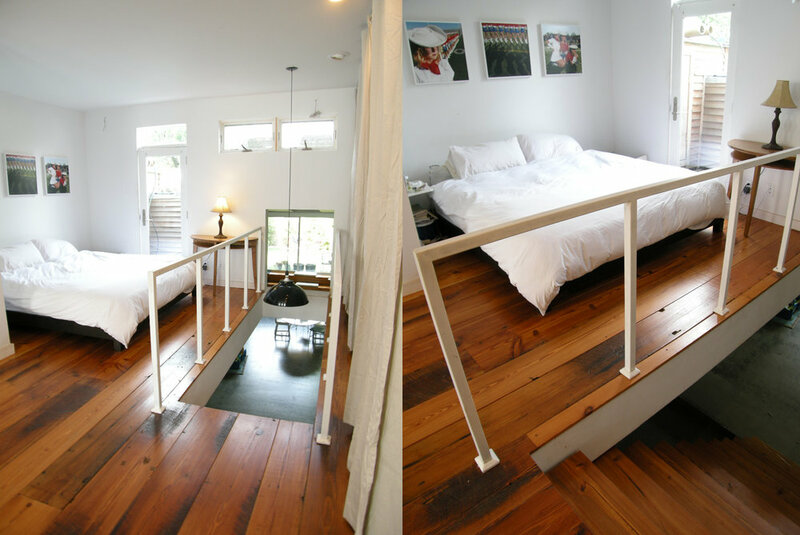 All of the existing interior walls were removed and the basement ceiling height was increased by lowering the foundation to provide an open and loft-like living space for a family of three. in the living room. 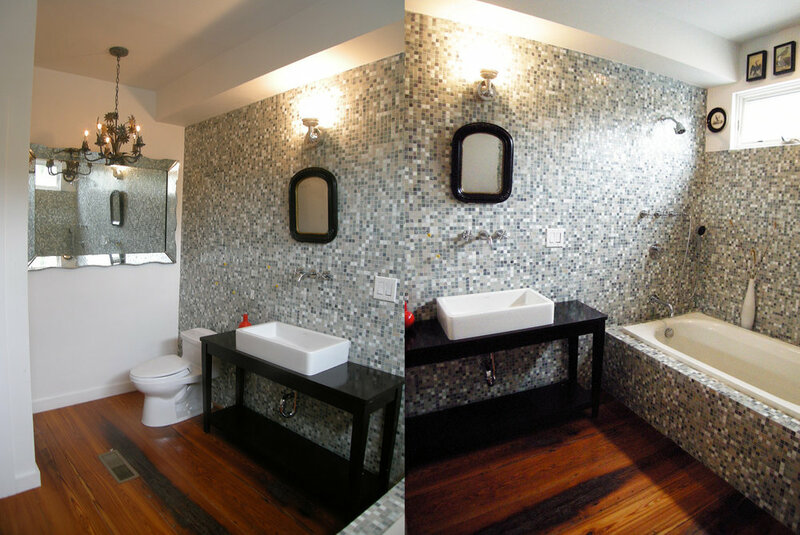 A concrete floor was poured in the garden level and cherry floors were salvaged from a warehouse in Manhattan’s garment district and installed throughout the rest of the house. 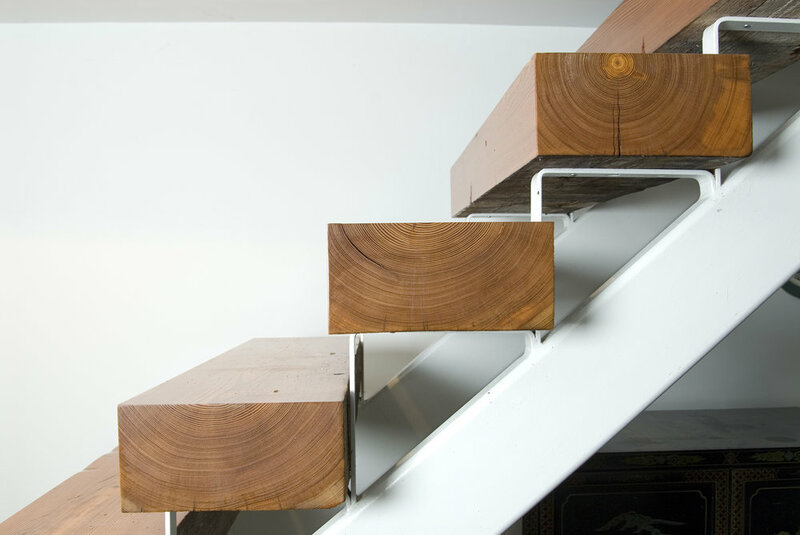 Large salvaged cherry timbers were used to create the open steel and wood stair. The orientation of the house was focused toward the peaceful private garden by opening up the entire rear of the building and installing massive sliding glass doors that open onto the yard. The separate carriage house behind the house was converted into a state of the art music recording studio. The existing vinyl clad street façade was intentionally unchanged so that the house respects and fits in with the eclectic and modest streetscape. One of the great experiences of the Holley Residence is the surprise one encounters upon entering into the modern, clean and light interior.